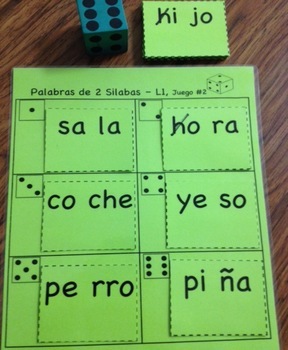 Students will enjoy blending 2 syllable words with this activity! 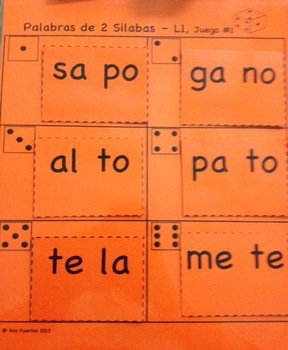 Students will have "fun" blending syllables to form words with this activity! I had to make 2 different games using all the words on the Placemat. I recommend that you purchase the Union de Silabas Lista 1 Placemat and BINGO .